At Rocky Creek, we have a number of shooting instructors available for your shooting needs. Whether you are a brand new shooter, seasoned hunter, competition shooter or just want to be an all-around better shooter, we can take care of you. 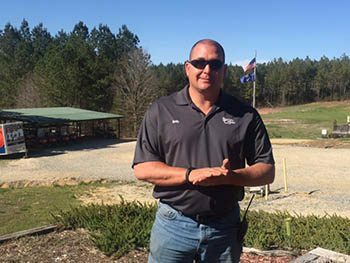 Andy is an NSCA Level I Instructor who specializes in working with youth shooters. He is the course manager at Rocky Creek, and is the head coach of the Lewisville High School Sporting Clays Team. He is available for lessons most days of the week. Henry is an NSCA Level II Certified Instructor who calls Rocky Creek his home base and is available to give lessons most days. He specializes in teaching a shooting method that creates consistent shooters. Henry shoots competitively around the southeast. Donny is an NSCA Level III and CSM Certified Instructor with 26 years of experience teaching Novice to Master Class shooters. Donny excels in teaching young shooters from 10 to 25 years of age. His belief is great shooters start with great shooting fundamentals. Donny travels to Rocky Creek once a month for lessons.